FAQs about Subprime Lending Programs | Sub Prime Auto Leads - Car Sales Leads - Special Finance Car Loan Leads by CyberLead, Inc.
As auto dealers today turn to new efforts to broaden their customer base, a subprime lending program may be the answer they are looking for. Offering this type of lending initiative may leave dealerships with many questions, so we have compiled a list of the most frequently asked questions (and answers) that dealers often ask about subprime lending programs. How can a subprime lending program benefit my dealership? Traditional financing options only target a certain percentage of consumers, but offering subprime auto financing options to customers with less than perfect credit, can help a car dealership to expand their business reach and increase revenue and sales by tapping into a new and extended customer base. Subprime auto loans charge higher interest rates to consumers that are considered a high risk, most often because of credit problems. This type of financing can offer an affordable solution to the consumer with bad or no credit, and to a dealership that is looking to increase their sales. What is the profile of a subprime customer? Are they too much of a risk? The truth is that a subprime customer could be anyone. Anyone can fall on hard times and struggle with making payments on a loan. While some subprime customers may have past credit problems or even a bankruptcy on their credit report, many are just struggling to pay back debt that overwhelmed them. Subprime lending can help customers with all types of credit problems. While you can never predict the future, statistics indicate that subprime borrowers will diligently repay their loans, especially to reestablish credit and/or improve their credit score. How can a lead generation company help to increase sales for my dealership? A lead generation program can funnel large quantities of leads to your dealership; leads that are concentrated on customers that are likely to buy. A lead generation program offers a winning situation for both the buyer and seller. Are there subprime lead generation companies? Yes, however not all subprime lead generation companies offer the same benefits. CyberLead Inc. is a lead generation company that produces results. They reach thousands of interested car buyers through a system of automotive websites and harness traffic that is traditionally difficult to reach through your own marketing efforts. 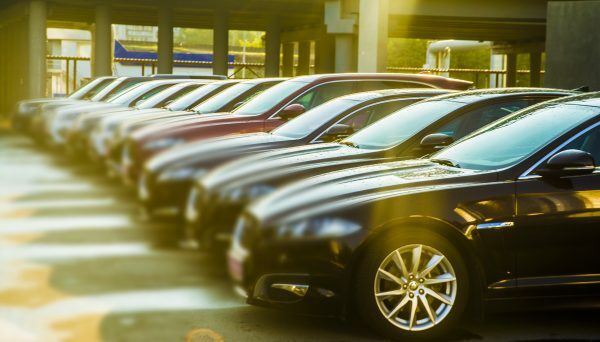 How can SubPrimeAutoLeads.com help my dealership to generate more business? SubPrimeAutoLeads.com utilizes a strong network of search engine-optimized domains that provide quality subprime automobile leads to dealerships. Through the use of an online immediate application process, subprime customers are screened and credible leads are sent directly to your dealership. Your dealership gets the lead and then has the opportunity to sell the vehicle and achieve a sale. Many successful automobile dealerships throughout the country rely on SubPrimeAutoleads.com to help them expand their customer base and increase sales. If you partner with SubPrimeAutoLeads.com, your dealership will benefit from increased sales, more exposure, targeted marketing and higher customer retention rates. Visit our website or call 866-944-9815 today to expand your business reach and increase your automobile sales potential today.